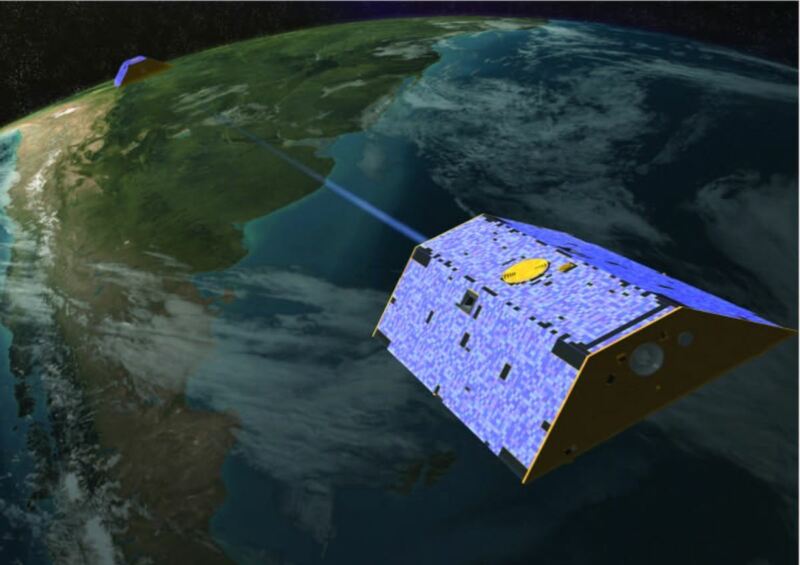 How scientists at Austin’s Center for Space Research are measuring the loss of water around the world with a pair of aging satellites. Every now and then, Byron Tapley steps outside with a pair of binoculars and trains them toward the late afternoon sky, hoping to catch a glint of sunlight reflecting from a pair of minivan-sized satellites he has nicknamed Tom and Jerry. Tapley has good reason to be proprietary: he leads the team of scientists who launched the twin satellites in 2002. Working in tandem, the satellites orbit the earth from pole to pole every 90 minutes, recording tiny variations in the earth’s gravitational field caused by the movement of vast amounts of water. The two spacecraft have provided compelling evidence for a rapidly changing planet: shrinking glaciers and ice caps, rising ocean levels and depleted aquifers. 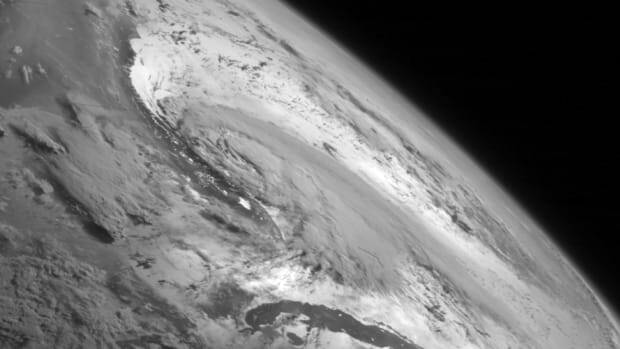 Jay Famiglietti, director of the Center for Hydrologic Modeling at the University of California, Irvine, believes GRACE is helping to transform climate science. Using GRACE measurements, for example, he and his colleagues have shown that aquifers are being depleted in northwestern India and in California’s Central Valley as farmers pump more water in response changing rainfall patterns. 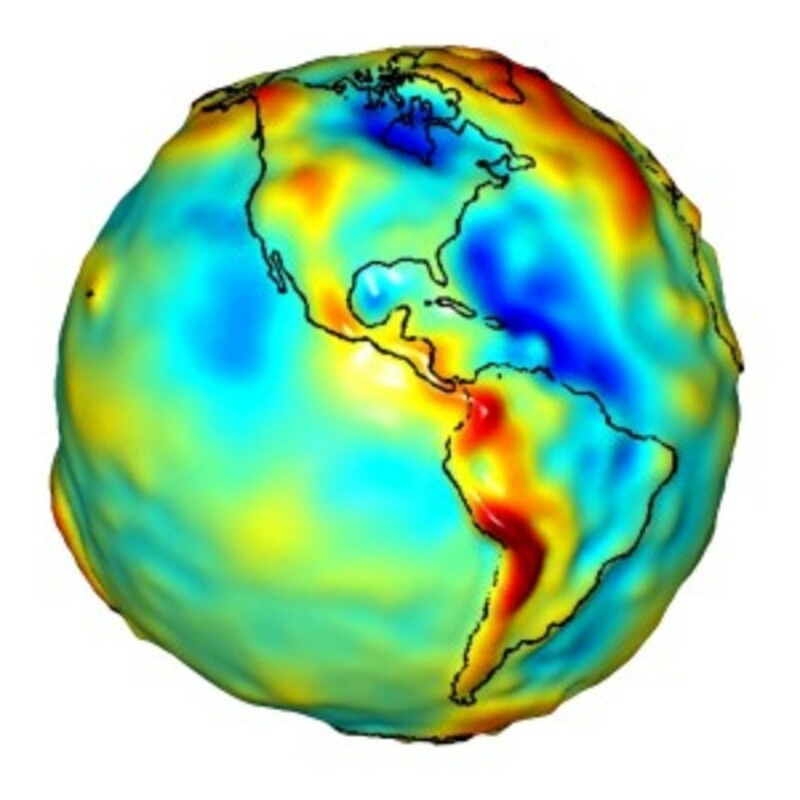 “The GRACE data has really revolutionized our understanding of how water is stored across the continents. It’s given us a global picture of what I call real water use, as opposed to something that’s based on statistics,” Famiglietti says. The breadbox-shaped GRACE satellites—each about 10 feet long—are covered with solar panels to generate electricity and have thrusters powered by inert gas. As their name implies, they rely on gravity, rather than radar signals (like those described in our 2009 report). They trade microwave signals as they fly in a fixed formation about 137 miles apart some 280 miles above Earth. When the lead satellite passes over a section of the planet’s surface that is denser than its surroundings, the stronger gravitational field causes it to speed up slightly, pulling away from its twin—which is recorded by the microwave ranging system. “We measure the change in the distance,” says John Ries, a senior research scientist in Tapley’s lab. “Each one experiences a slightly different gravity field because they’re separated.” The system is so accurate that fluctuations in the distance between the satellites can be measured, he says, with an accuracy of about 6 microns—smaller than the width of a human hair. Such movements typically take years to become obvious, Famiglietti says. But as the GRACE satellites fly an orbit that covers most of the earth’s surface every 30 days, scientists can detect changes on month-to-month basis. Only one substance is known to flow that quickly: water. Blizzards, monsoons, and drought can redistribute huge amounts of water over a short period, rapidly affecting snow-pack, aquifers and river basins, for example. GRACE is also providing precise details about the planet’s exact shape, says Ries, an expert in geodesy—the science of accurately measuring landforms on a global scale. Ohio State University scientists recently used GRACE data to detect a 200-mile-wide plug of magma that had welled up through the Earth’s crust more than a mile beneath the East Antarctica Ice Sheet, evidence of a previously unknown meteor strike that might have caused the Permian-Triassic extinction some 250 million years ago. GRACE even picked up movement in the ocean floor in the aftermath of the massive, tsunami-producing earthquakes near Sumatra in 2006 and off the coast of Japan in 2011. “We very definitely could see the change in the crust,” Ries says. Jianli Chen, who has a Ph.D. in geodesy, specializes in making sense of GRACE data. “We see a very dramatic ice loss in the western Antarctic,” he says. “Is there an acceleration or deceleration of the ice melting? Those are very hotly debated topics.” Chen has published scores of papers on subjects like the melting of Alaskan glaciers, whether thermal expansion from global warming is affecting global sea levels, and measuring water storage in major river basins. In 2009, Famiglietti and two others published a paper in Nature showing that between August 2002 and October 2008, groundwater was being depleted at a rate of about 1.6 inches a year in the Indian states of Rajasthan, Punjab, and Haryana, home to some 114 million people. Put another way, the region lost nearly triple the capacity of Lake Mead, the largest man-made reservoir in the U.S. The likeliest cause was increasing demand for water to irrigate crops, they concluded. In a 2011 paper published in Geophysical Research Letters, Famiglietti and colleagues reported that between October 2003 and March 2010 California’s Central Valley, lost an estimated 20.3 cubic kilometers of water—about two-thirds the volume of Lake Mead—with the aquifer dropping at a rate of about 1.2 inches a year. The project has run up a total of $220 million in launch and operational expenses—relatively cheap by space mission standards. By any measure, though, Tom and Jerry are getting long in the tooth. Their batteries are wearing out and the system is periodically powered down to conserve energy. Tapley hopes the current satellites can last until 2013. After that, there may be a GRACE follow-on mission within a few years to ensure a continuous stream of gravitational data. North Texas, the fastest-growing region in the fastest-growing state in the nation, has a growing demand for water. While the rest of the U.S. is tearing down decaying dams, Texas wants some dam water.